This week has been full of small wonders, and I’m grateful for that. Eric was away at Palomar for an observing run this week that was supposed to last two nights, but he was magically able to come back home after just one. When he emailed me to tell me he was coming home early, I most definitely wrote back in ecstatic all caps. I really really really like having him around! When he came back, he brought a bounty of treasures from our favorite farm stand. Pumpkins and butternut squashes galore, and tons of fruit. 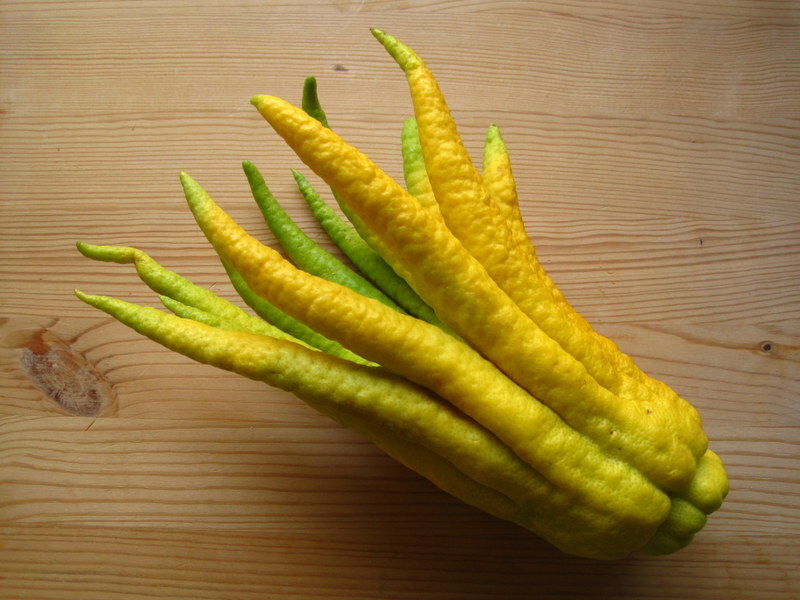 I nearly gasped when I saw that he had brought me a Buddha’s hand citron. We bought one last year at Berkeley Bowl, but we don’t have a prayer of affording one at Whole Foods down here. At our little farm stand? Three dollars. It smells heavenly, and soon it will be transformed into this cake. 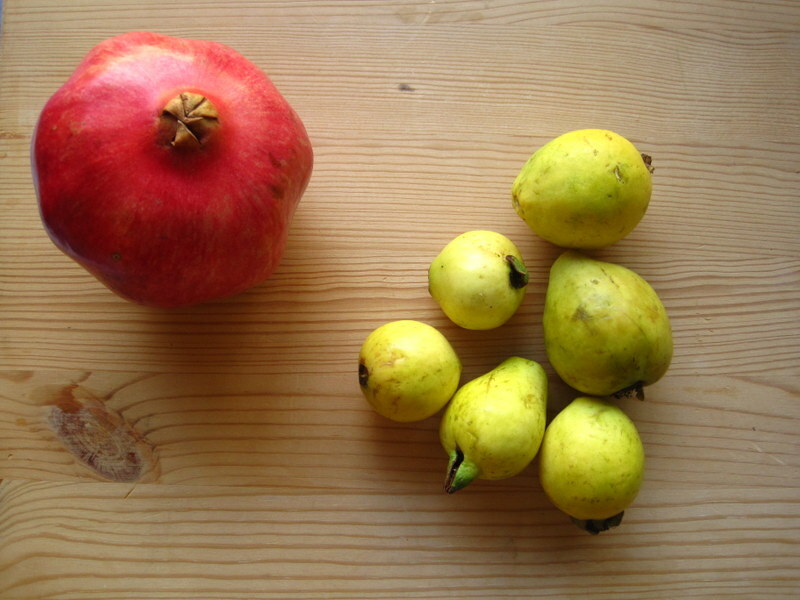 And finally, there were guavas and a giant pomegranate. The guavas have taken over the airspace of our apartment in the most amazing way. It smells overwhelmingly tropical, just from these tiny little fruits. 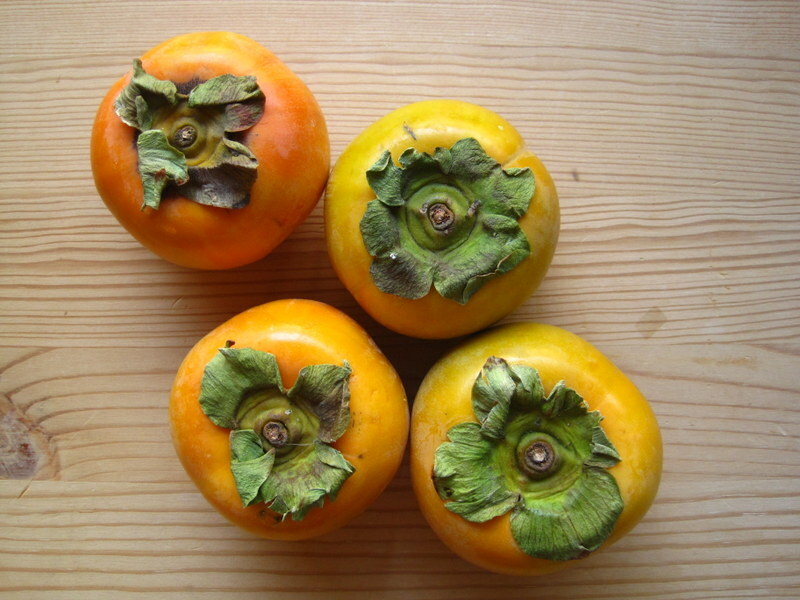 We’ve already eaten half of them, and I’ll miss their perfume when they’re gone. But maybe the best thing of all about Eric getting to come home early was that he made it in time for dinner with our dear friend Steve, who was in town for a few days from Napa. Steve is a chef, and he is amazing. 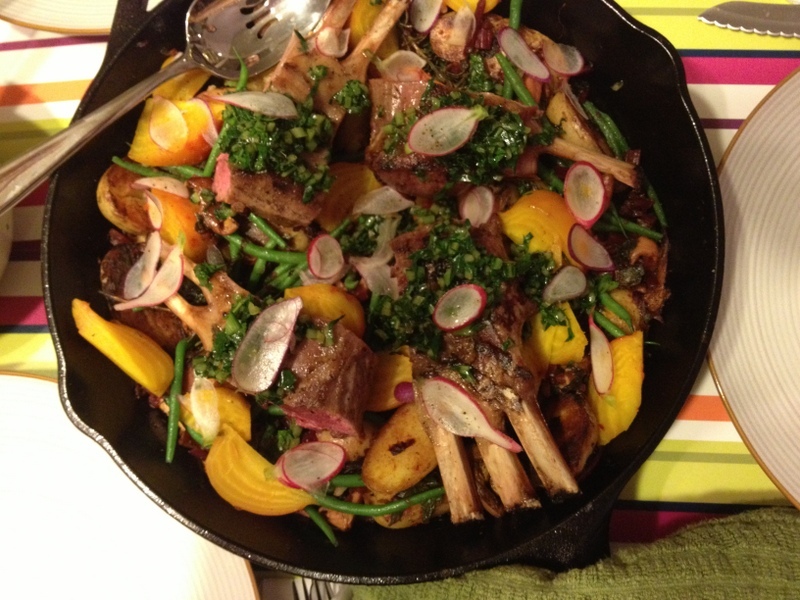 This is what we had for dinner. We eat so much better when he is around! I have so many fond memories of dinners at his house in Berkeley, and I hope they’ll be a new tradition here in Pasadena too: great wine, great food, great friends. Who could ask for more? 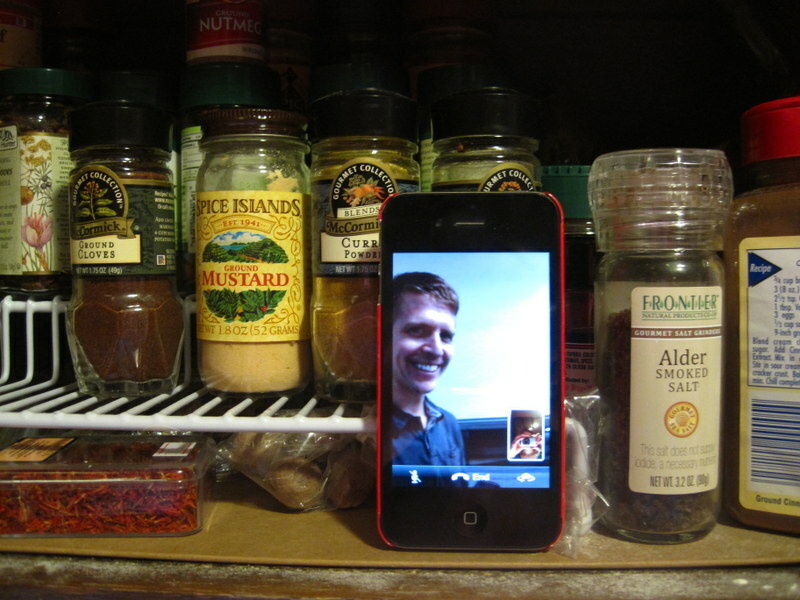 And, as a cherry on top, last night Eric face timed me while I was in the kitchen baking pumpkin scones, and I put him right into the cabinet (where he has been placed before while I had my hands covered in flour). He was printing a poster for a meeting, and he wanted to show me the impressive apparatus. He is the sweetest, and, seriously, he makes me grin from ear to ear every single day. I am the luckiest, luckiest girl. « Curried Lentil and Butternut Squash Salad	» Cable Knit Blanket: It is Finished! Who is that cute little photographer hiding in the corner of your iPhone? I just want to cry from all this love-liness: your man coming home early with beautiful aromatic goodies, people I love getting to see Steve even though I couldn’t (sniff), more good memories! I wanted to cry too! Definitely awesome memories! . . .all that and pumpkin scones too!!!!!!!!!!!!!!!!!!!!!!!!!!!!!!!!!! That does it. I’m hungry.